Squatchagawea Films offers top notch production services for all your needs. If you are a business looking to get yourself noticed in your community and online, then you've come to the right place. then work closely with you to produce a top notch commercial that fits your exact needs. Call or email us today to set up a meeting. We want to help you create your next film. to make your dream a reality. Drones are everywhere today and they have many applications. Are you in need of a camera and gear for your next production? We offer cinema quality gear and affordable prices. Check out our list of equipment below. The Blackmagic URSA is an incredibly powerful camera, boasting 4K capabilities. The camera has three screens, allowing your operator and focus puller to work without the need of an external monitor. Attached rails allow for mounting a follow focus, matte box, and shoulder rig. This model is a Canon EF lens mount and runs on Anton Bauer batteries. 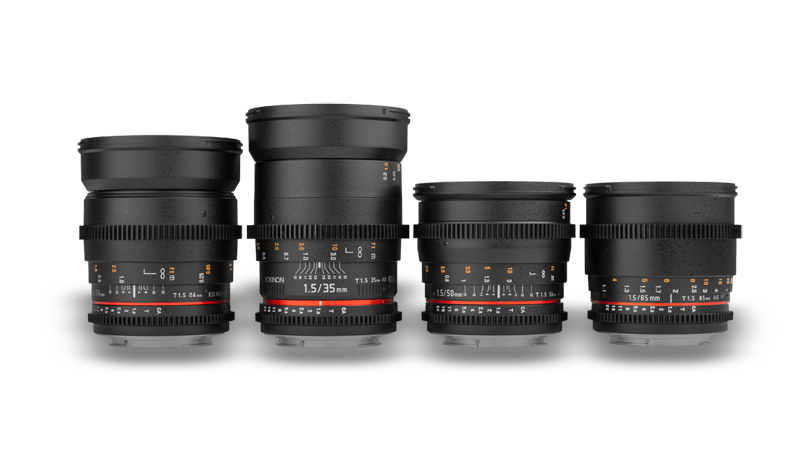 If you need crisp images and follow focus capabilities, then look no further. These Rokinon lenses offer the sharpest image quality around. With aperture settings from 1.5 to 22, you will have no trouble getting the shot you're looking for. Stable shots are a breeze with the Flycam 6000. Simply add weight to the bottom and balance your camera and you're good to go. Best results come from cameras under 10 pounds. Good lighting is essential for any production. These Lowel lights will give your film a high quality look. With stands and barn doors, you'll be ready to go in minutes. Available are two 500w Omni's, one 250w Pro, and one 1000w DP.